Ching-Yun Hu was born in Taipei. She made her concerto debut at age 13 with the Poland Capella Cracoriensis Chamber Orchestra on tour in Asia, and moved to the United States a year after to continue her music studies at The Juilliard School in New York. She has worked with Sergei Babayan, Karl-Heinz Kammerling and for chamber music with Joseph Kalichstein and Seymour Lipkin. Additionally, she has received artistic guidance from Richard Goode and Murray Perahia. The Cultural Minister of Taiwan awarded her an honorary prize in 2008 recognizing her achievements and formally naming her "the Pride of Taiwan". In addition to performance career, Ms. Hu is an engaged advocate for the promotion of classical music. She founded the Yun-Hsiang International Music Festival (www.yunhsiang.org), a bi-annual music festival in Taipei, inviting some of the most sought after international artistis to perform at prestigious concert halls in Taiwan and to work with aspiring young Taiwanese musicians. 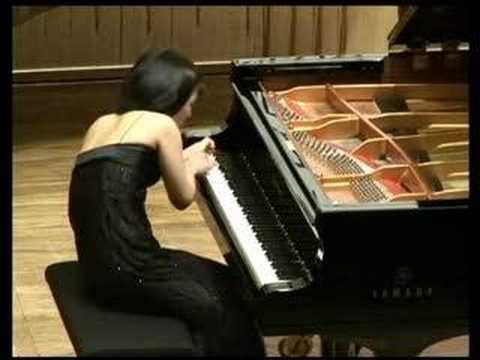 Declared a “…first-class talent…” and praised for her “…poetic use of color and confidently expressive phrasing…” (The Philadelphia Inquirer), Ching-Yun Hu is the winner of the 2009 Concert Artists Guild International Competition. 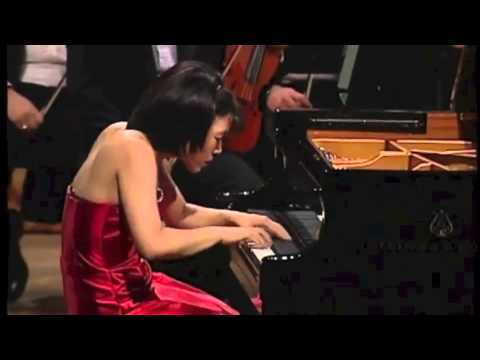 In 2008, she captured the top prize and the Audience Favorite Prize at the 12th Arthur Rubinstein International Piano Master Competition in Tel Aviv. 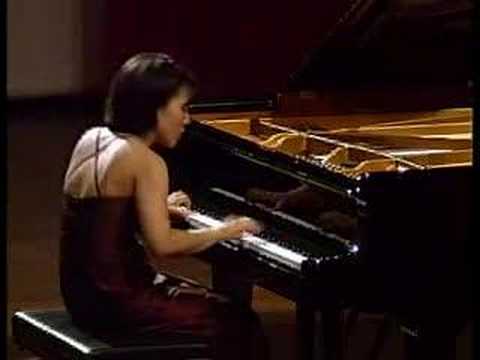 Ms. Hu’s final round performances of the Beethoven Piano Concerto No. 1 and Prokofiev Piano Concerto No. 3 with the Israel Philharmonic were broadcast live to 38 countries. Deeply impressed by her artistry, The Jerusalem Post hailed her “...superstar quality that everybody looks for...Musical, energetic and full of flair.” This victory resulted in a seven-city recital tour across Israel and a special invitation from the Israel Philharmonic to perform Beethoven’s Piano Concerto No. 4, stepping in for Hélène Grimaud on only a week’s notice. Since then, Ching-Yun Hu’s career has flourished with a host of international engagements on five continents. In the recording studio, Ching-Yun Hu’s debut CD, released in 2011 on the Taiwanese label ArchiMusic, feaured solo piano music of Chopin and won Taiwan’s 2012 Golden Melody Award for Best Classical Album of the Year. Her next recital disc, with music of Granados, Mozart and Ravel, was released in 2013 on CAG Records and distributed by Sony Music Taiwan. Recent recital highlights include London’s Wigmore Hall and Southbank Centre, New York ‘s Weill Recital Hall at Carnegie Hall (CAG Winners Series) and Alice Tully Hall, Opera House in Tel Aviv, Washington DC’s Kennedy Center, Concertgebouw in Amsterdam, Salle Cortot in Paris, Aspen Music Festival, Munich's Herkulesaal and (broadcast on Bayerischer Rundfunk), the Great Hall at Liszt Academy in Budapest, National Concert Hall of Taipei, Chopin International Festival in Poland, Rubinstein Philharmonic Hall in Lodz, and Japan’s Osaka Hall. She also performs at music festivals throughout the world. 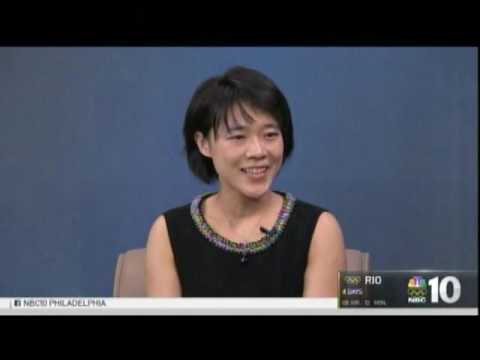 Ms. Hu made her Philadelphia Orchestra debut in a sold out concert and has worked recently with the Aspen Concert Orchestra, New York Sinfonietta, Dupage Symphony, National Symphony Orchestra of Taiwan, Portgual’s Orquestra do Algarve, Johannesberg Philharmonic Orchestra, Wuhan Philharmonic Orchestra, Israel Symphony Orchestra, Orquestra Experimental de Repertorio at Theatro Municipal de Sao Paulo, Mississippi Symphony Orchestra, Taipei Chinese Orchestra, and tours with the National Taiwan Symphony Orchestra.